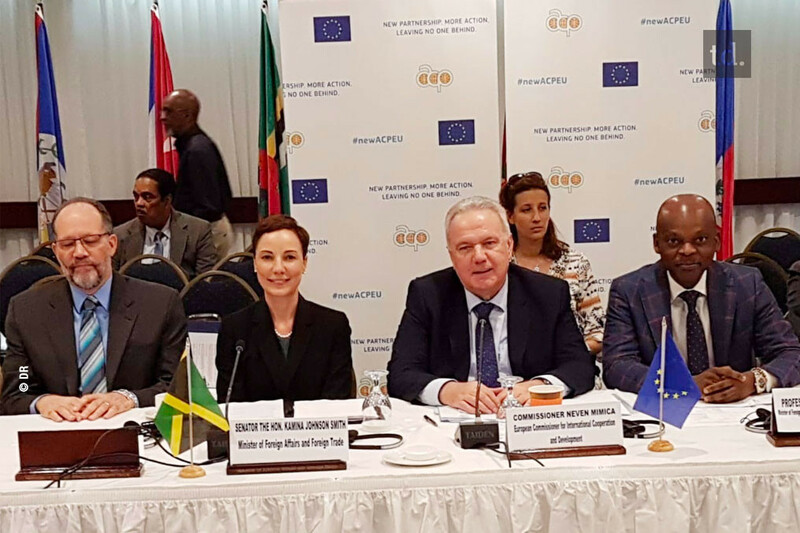 Posted on 16 April 2019 | by Prof. Robert Dussey | Leave a Comment on Post-Cotonou Agreement 2020: Continuation of ACP-EU negotiations in Kingston. Negotiations between the ACP Group of States and the European Union are continuing to reach a post-Cotonou agreement by 2020. This time, the discussions are taking place in Jamaica after N’Djamena and Samoa. None of the geographical regions concerned are forgotten. In Kingston, there are the same interlocutors including the Central Negotiating Group (GCN), the European Commissioner for Development, Neven Mimica and Robert Dussey, the chief negotiator for the ACP countries. “Coming to Jamaica I am African, but I also feel deeply Caribbean,” said the Togolese diplomat, speaking at the debates. This Caribbean island is in fact mostly populated by descendants of African slaves. Discussions are proceeding at a rapid pace to reach agreement by 2020 and perhaps even before. He praised the merits of a future agreement based on strategic regional priorities. The great novelty is indeed based on the needs and specificities of each geographical area, unlike the current one, the 79 countries forming the ACP bloc are not uniform. The demands of the Pacific or Caribbean countries have nothing to do with those of Africa. The purpose of the talks is to reach a new agreement consisting of a common core and three regional partnerships. The common ground, applicable to all members of the partnership, will list objectives, priorities and general principles and will enhance cooperation at the international level. Regional partnerships will be the center of gravity and will set specific regional priorities for African, Caribbean and Pacific countries, in line with strengthened regional dynamics and the increased importance of regional organizations. Today, chief negotiators emphasised the progress made while launching the next phase of the negotiations. This new step will ultimately lead to the creation of tailor-made pillars with each region, which are among the novelties to be introduced in the future ACP-EU Agreement. While the drafting process continues to run its course, EU and ACP countries will carry on the regional pillars consultations with each region. As illustrated during the high-level dialogue with Pacific leaders on 26 February, such consultations provide a privileged space to further discuss the needs and priorities faced by each region. Similar meetings with Caribbean and African partners are due to take place soon. 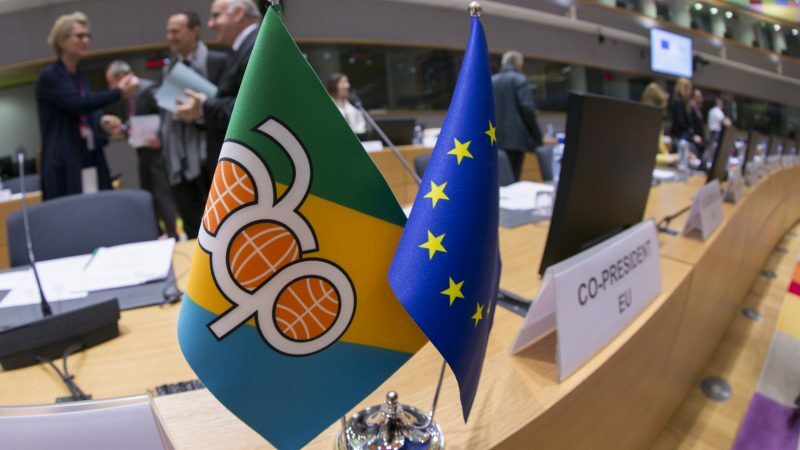 The Cotonou Agreement currently governing EU-ACP relations is due to expire in 2020. Negotiations on a new ACP-EU Partnership were launched in New York on 28 September 2018 in the margins of the United Nations General Assembly. The two first series of talks mainly focused on the common foundation at EU-ACP level. This contains the values and principles that bring the EU and ACP countries together. It also indicates the strategic priority areas that the two sides intend to prospectively work on together. In the future agreement, on top of the foundation there will be three action-oriented regional pillars to focus on each region’s specific needs. Through the future partnership, EU and ACP countries will seek closer political cooperation on the world stage. Together, they represent more than half of all UN member countries and unite over 1.5 billion people. 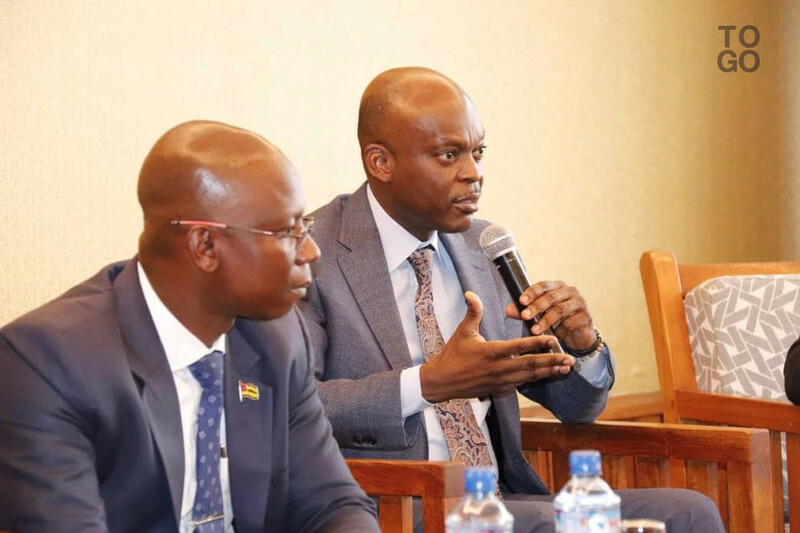 The Minister of Foreign Affairs, African Integration and Togolese Abroad, HE Prof. On April 1, 2019, Robert DUSSEY presented the “Government Roadmap for Togolese Abroad”. The roadmap of the Government for Togolese Abroad meets the vision of the President of the Republic, HE Mr. Faure Essozimna GNASSINGBE, that of ensuring a better organization of the Togolese diaspora for its more appropriate involvement in the efforts national development. Its mission is to create the conditions for a more inclusive involvement of the Togolese Diaspora in the work of national construction. Improving the protection and defense of the interests of Togolese abroad. The execution of these strategic axes is planned in two main components: Priority Actions Program (PAP) and Medium and Long Term Program (LTPP). The Priority Actions Program refers to two main axes, namely: enhancing the human, economic and social capital of the diaspora and strengthening communication between the Government and the diaspora. develop a solidarity volunteer project for development. organize an economic forum of Togolese from outside. Under the strategic axis 3 on the improvement of the defense and the protection of the interests of Togolese living abroad, included in the actions of the Medium and Long Term Program (LTA), the Government will put the focus on the negotiation of bilateral agreements with countries in which strong Togolese communities reside and those offering attractive employment opportunities in order to better supervise Togolese labor migration in accordance with international labor standards. The Government will also work to establish a Migration and Diaspora Observatory and to facilitate the consular and administrative procedures of members of its diaspora in the countries of residence. It should be noted that several projects in favor of the diaspora are included in this roadmap. Moreover, it must be remembered that the Government has already had to carry out several actions for the Togolese diaspora. Among these, the establishment of the Togolese leadership from outside by decree in 2005, among others, can be considered; the creation in the same year of the High Commissioner for Returnees and Humanitarian Action (HCRAH); the development and implementation of the Diaspora program including the use of diaspora skills (2010-2014); the creation in 2014 of the interministerial committee for the coordination and monitoring of migration and development activities; the establishment of a diaspora unit to accompany Togolese from abroad who carry projects in their implementation; the designation since 2015 of focal points responsible for the diaspora in the diplomatic and consular missions of Togo; touring encounters with the diaspora in 2013 and 2014; the organization of the major events of the diaspora in 2014; the visa exemption for Togolese foreigners with dual nationality (2014); the organization of the first edition of the “Successful Diaspora” week (2016). On another note, the Government attaches great importance to the Togolese diaspora in the perspective of the contribution of all Togolese and Togolese women to the national construction, in this case for the implementation of the National Development Plan (PND). 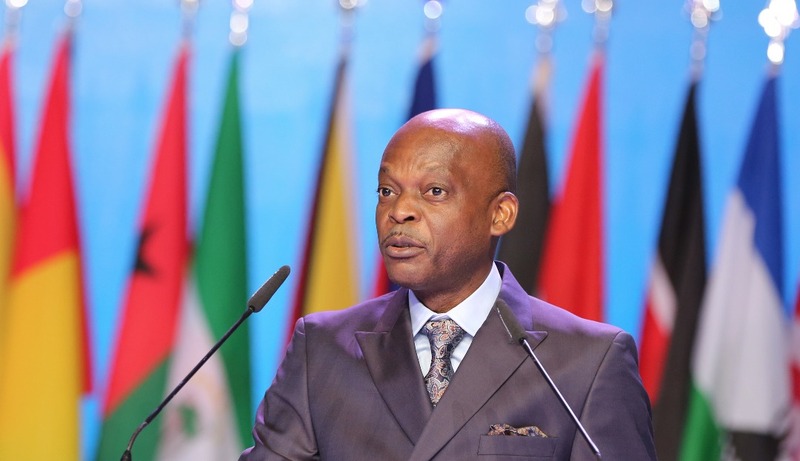 Also, the Government intends to organize from May 2019 actions to raise awareness of Togolese abroad on this new vision including the Economic Forum Togolese Abroad scheduled for 28 and 29 November 2019. 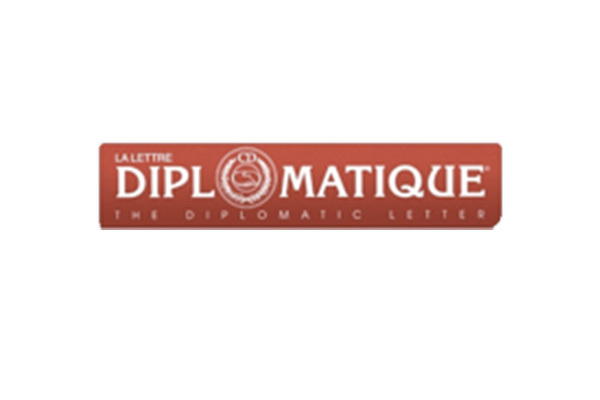 Posted on 8 March 2019 | by Prof. Robert Dussey | Leave a Comment on Diplomag 18th is available to download! The year 2018 is a thing of the past, the new one has only just begun, the one to come is already on our heels. Vladimir Jankélévitch once asked himself: «How can such short years be made with such long days? Time is flight and place of deployment of human existence. The human being is born in time, lives in time, acts in time and dies in time. The dimension of temporality linked to action is very essential in what the philosopher Hannah Arendt calls the «domain of human affairs». Through our actions, wherever we are, whoever we are, whatever we want, we impact the world in a variety of ways. The history of the world in a not insignificant proportion is that of man and his action. That of Togo is that of his sons, their actions and interactions, commitments and expectations. At the diplomatic level, the year 2018 is marked in Togo by a series of actions carried out under the impetus of the President of the Republic, His Excellency Faure Essozimna GNASSINGBE, whose vision and spirit of anticipation allowed to improve the international influence of the country. Togo has not only put its leadership at the service of the Economic Community of West African States (ECOWAS) over the past year, but also organized and hosted major international meetings, and currently chairs the Central Negotiating Group of the ACP Group for the post-Cotonou, the Cotonou Agreement coming to an end in February 2020. 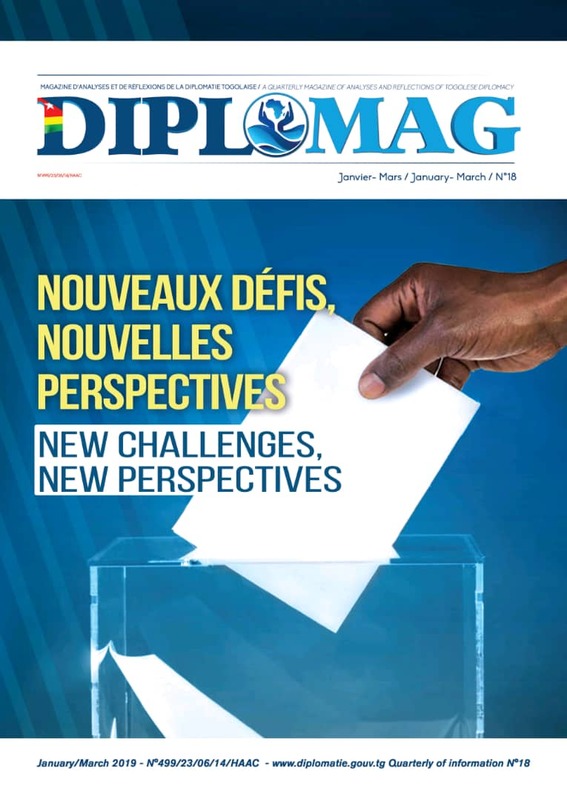 This issue of DIPLOMAG looks back on some strong sequences of the Togolese diplomacy during the year 2018. This is for the Togolese diplomacy of an opportunity to write oneself in a retrospective perspective. This editorial highlights in a synthetic approach two key moments of the diplomatic action of Togo in 2018 and the perspectives for this new year. Robert Dussey, Togolese Minister of Foreign Affairs and Head of Negotiations Post-Cotonou ACP 2020, participates in the two-day meeting, which starts today in Apia, the capital of Samoa, with the aim of engaging in-depth discussions and dialogue with the EU with a view to finalizing a new agreement between the EU and the African, Caribbean and Pacific (ACP) countries. 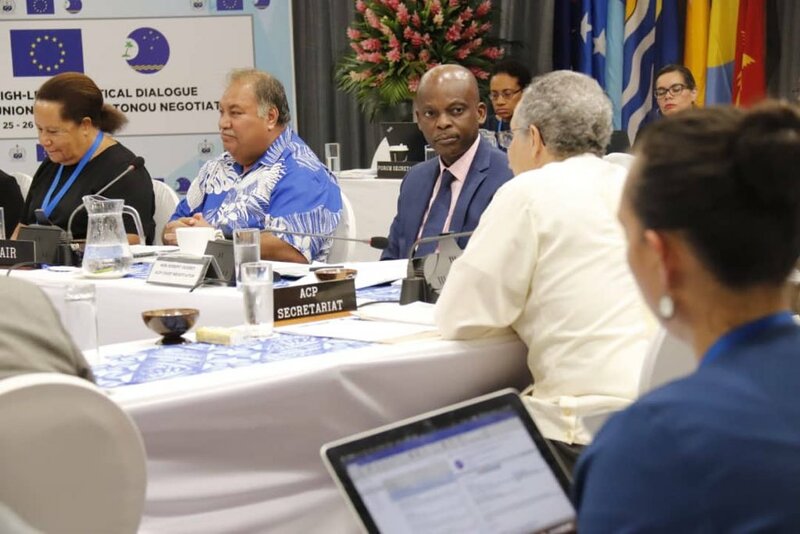 The dialogue is convened as part of the political consultations between the different ACP regions and the EU on the negotiations for a post-Cotonou agreement, in accordance with the processes approved by the ACP Group and the EU at the start of the negotiations in November 2018. On the sidelines of this meeting, Minister Robert Dussey had a meeting with Samoa’s Prime Minister Tuilaepa Sailele Malielegaoi. ‘Action does not always bring happiness, but there is no happiness without action’. 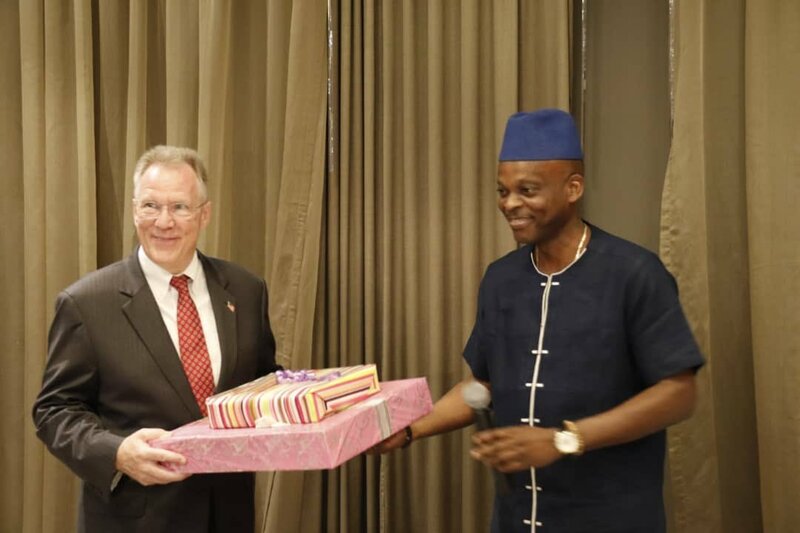 Quoting American author William James, Foreign Minister Robert Dussey paid a warm tribute on Monday night to David Gilmour, the US ambassador, who has completed his mission in Togo. Il a salué ‘non seulement le diplomate exceptionnel que vous êtes, mais aussi l’ensemble des actions que vous avez entreprises au cours de votre mission au côté du gouvernement en faveur de ses populations’. Les Togolais ont, et garderont de vous, l’image d’un diplomate exemplaire, a souligné M. Dussey. ‘History is the ally of men who forge history because they know how to remember them and their actions. Posterity will tell you and diplomatic memories of our two countries: an American diplomat by the name of David Gilmour lived in Togo from 2015 to 2019, concluded the Togolese diplomat. The kick-off of negotiations leading to a new ACP-European Union (EU) partnership agreement replacing the Cotonou Agreement, which expires in February 2020, was given on 28 September 2018 in New York, USA on the sidelines of the 73rd Ordinary Session of the UN General Assembly by decision of both parties. With this solemn ceremony, the EU and the African, Caribbean and Pacific Group of States (ACP) formally endorsed their option for continuity. The world has changed profoundly and the future agreement will have to incorporate a number of realities if the ACP-EU partnership really wants to be in tune with the spirit of the times. The current context is that of the decentring of the world, the world has no center and peripheries and, to put it bluntly, the West and Europe are no longer the center of the world. The world is today defined by a multipolarity carried by a diversity of actors who work to weigh on its destiny. Taking into account this historical development makes it possible to change the ACP-EU partnership to include it in a new logic: that of a strict equality characterized by justice and fairness of the terms of cooperation. The ACP expects more equity and less imbalance in the future partnership agreement. The limits of the Cotonou Agreement in terms of imbalance in the ratio of trade are known to all. One of the difficulties of the ACP-EU partnership, from the beginning to the present, is the productive inequality of both parties. The European economy has a large production force whereas the ACP has a very weak productive capacity. The unequal “capability”, to use the expression of Amartya Sen *, which characterizes the economies of both parties is problematic. The advantage of the EU in terms of the possibility of trade with the ACP is much greater than that of the ACP Group. While in principle the European market is open to ACP member countries, the latter do not yet sufficiently benefit commercially. The ACP’s weak productive capacity does not allow them to take better advantage of the opportunities offered by the opening of the European market. Free access to the European market is an asset for the ACP, but working to extract more profits from the European market remains a challenge. The ACP must work to strengthen their productive capacities and increase the level of their exports to the EU. The ACP equilibrium requirement in the terms of the future partnership agreement is known to the EU, but ensuring that this desired and expressed balance becomes a reality remains a challenge. Hence the substantive work that must be done and is still done on the side of the ACP. ACP experts and negotiators work daily on the negotiations internally. This ant work deserves to be done because the current ACP negotiators are very aware of their historical responsibility. Negotiating on behalf of 79 countries without a high sense of responsibility would be a serious mistake that future generations of the ACP Group can not understand or forgive. The negotiations are conducted with full responsibility and will lead to a single common-pillar partnership agreement with three specific regional pillars. The common basis of the agreement will be the objectives, priorities and general principles of the future agreement and the multilateral action of the EU and the ACP Group on the world stage. The three regional pillars will be specialized partnerships between the EU and each of the geographical areas of the ACP, namely Africa, the Caribbean and the Pacific, within the framework of the ACP-EU partnership. The agreement envisaged, by its structure, marks a break with the past. The aim is to reach the signing of a new ACP-EU partnership agreement by 2020 at the latest, the negotiations which, according to Antoine Pecquet (1704-1762) in his book Speech on the Art of Negotiating, prepare “Big events” must be carried out at a steady pace. Logically, the first phase of negotiations will allow both parties to agree on the structure of the future agreement and especially on the format of the organization and the holding of the different sequences of negotiations. The second phase of the negotiations will focus on the common basis of the agreement. It will allow the parties to agree on the guiding principles, general objectives and overall priorities of their partnership. On the 5th and 6th of June will take place the Development Days of Europe. As in every edition, this high mass, whose main theme this year will be “Women and girls at the forefront of sustainable development: protecting, empowering, and investing,” will bring together development actors to discuss the key challenges that lie ahead. pose to the world. For obvious reasons, Africa should be on the agenda. Europe and Africa are, in fact, two continents that geography has brought together, but a painful history has, in a way, moved away. The consequence of this story is that the relationship between the two blocks has always been marked by a mixture of fascination and mistrust. The feeling of a bound destiny but of an impossible alliance predominates. The outcry aroused in part of French-speaking Africa following the inauguration, on May 9, of the “new Place de l’Europe” in Gorée, emblematic place of the transatlantic slave trade, perfectly illustrates the complexity of this relationship. This project to renovate a historic site, which was originally inaugurated by former European Commission President Romano Prodi in 2003, was largely funded by the European Union. But this gesture, which wanted to be friendly, was considered awkward by some, and scandalous by others. This relationship of distrust can no longer last because the risk it poses on both continents is now too high. Despite flattering nominal growth rates for a decade, poverty remains high in Africa. Inequalities are widening and population growth continues. In rural areas, extreme weather events are increasing. They cause famine and conflict, and push many young idle into the arms of terrorist groups that are now swarming on the continent and threaten the stability of African states. In the urban areas, thousands of young people, sometimes graduates, but underemployed or unemployed, are hostages of political systems that, for all sorts of reasons, good or bad, are unable to offer them the conditions for a better life. . Not surprisingly, these young Africans are on the road to European exile, often risking their lives. Terrorism, the consequences of climate change, illegal immigration, are major challenges for Africa, and therefore for Europe. This Europe is all the more concerned by the destiny of Africa as there have always been important interests. These interests, the legitimate pursuit of which leads too often to alliances and supports whose consequences are harmful for the African populations as well as, more and more, for the European citizens. This is why we must renew the software of the Africa-Europe relationship. On the European side, this has historically been limited to institutional links, to the abstract promotion of great democratic principles, and to the sometimes cynical defense of commercial positions. It is now necessary to establish bonds of trust with African youth who are more informed, aware of global issues and willing to take part in world affairs. The record of 30 years of electoral democracy in Africa is disappointing, as it has been implanted in fragile nation states. Perhaps it is time to work to strengthen these nation states. On the African side, almost five decades after Independence, efforts must be made to establish a relationship of trust with Europe. On this point, African diplomats have an eminent role to play in explaining the African vision of the world to Europe, find points of convergence, defend projects of common interests, and work together for the advent of a world more stable, because more just. 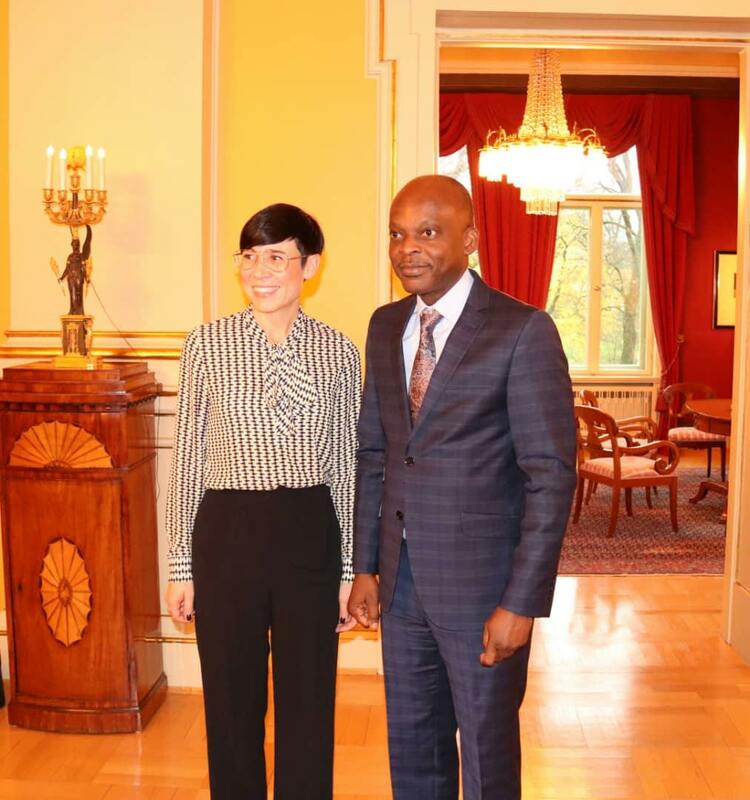 The Togolese diplomat, Robert Dussey, met his Norwegian counterpart, Ine Eriksen Søreide, on Friday, 09 November in Oslo. The discussion focused on economic cooperation, security and stability issues in Africa. Mr Dussey participated yesterday at the Nordic-Africa Summit whose theme was the promotion of the blue economy, maritime activities and new energies. So many topics that interest Togo whose ambition is to become a logistics hub. The Minister of Foreign Affairs was the guest on the morning of the Peace Research Institute Oslo (PRIO) for a conference on violent extremism and security challenges in West Africa. Participants wondered about the role that can play preventive diplomacy. Mr. Dussey was joined by Øystein H. Rolandsen and Jenny Lorentzen, researchers at PRIO. Founded in 1959, this institute conducts research on conditions conducive to peaceful relations between states. The PRIO analyzes how conflicts break out and how they can be solved, but also how companies deal with crises and crisis threats. PRIO develops theoretical knowledge and refines research methodologies. This academic excellence must have a significant impact on societies, say the leaders of the institute. Currently there are four main political players in the Middle East (excluding Israel). The first, and until lately the strongest, is the Iranian – Shia axis. This Axis is stretching between Iran (its center) in the east, through Iraq, Syria, Lebanon and a proxy in the Gaza strip (Palestinian Islamic Jihad). Short of the last one, in all the other areas Iran is leaning heavily on local Shia communities. The second is the Sunni moderateblock. This block includes Egypt, Saudi Arabia (those two are considered as the leaders of this block), Jordan, The Palestinian Authority, UAE and the rest of the Gulf States (short of Qatar). The third is the Sunni radicalblock. This block includes Turkey, Qatar, Sudan and Hamas (in the Gaza Strip). This block identifies itself with the Muslim Brothers (an Egyptian Ideological movement that was established in Cairo in 1929 and is outlawed now in Egypt). The fourth is the Sunni radicalNon-State Actor – Al-Qaeda and the “Islamic State in Syria and the Levant” (ISIL). This group (not an axis though) is nearly defeated in the Middle East. Against this defeat, you can see their attempts to infiltrate to Africa. There are two main conflicts between those groups that are currently casting a shadow over the Middle East. The first is between the Shia axis and the Sunni moderate block. The second is between the Sunni moderate block and the Sunni radical block. The conflict between the Shia axis and the Sunni moderate block is taking place in some different places in the Middle East – in Syria (where actually the Sunnis were beaten), in Lebanon, Iraq and the most active front – Yemen. The conflict between the moderate Sunni group and the Radical Sunni group is taking place in the Persian (Arab) Gulf between Saudi Arabia and the UAE on one end and Qatar on the other. Another front is in the Horn of Africa where Saudi Arabia, the UAE and Egypt are competing against Qatar, Turkey and the Sudan in an attempt to reach more influence. Terror is always leaning on an ideological agenda (usually radical Islam). However, some “environments” are more “friendly” to terror. Among the conditions that help terror spread we can find the presence of “Failed states”, weakness of the central government, lack of social cohesiveness between the center and the periphery and the above all – economic frustration. All those elements can be found in both the Middle East and Africa. There are some lessons that Africa can draw from the Israeli experience in fighting terror. First,a holistic approach that brings together military sticks and economic carrots. Second is determination (the war on terror is always longer than a conventional war). Third is deterrence (does deterrence actually work against terror?). Fourth is an attempt to build a national unity. The fifth is an attempt to create partnerships in the war against terror (G 5 in the Sahel or Amisom in Somalia). 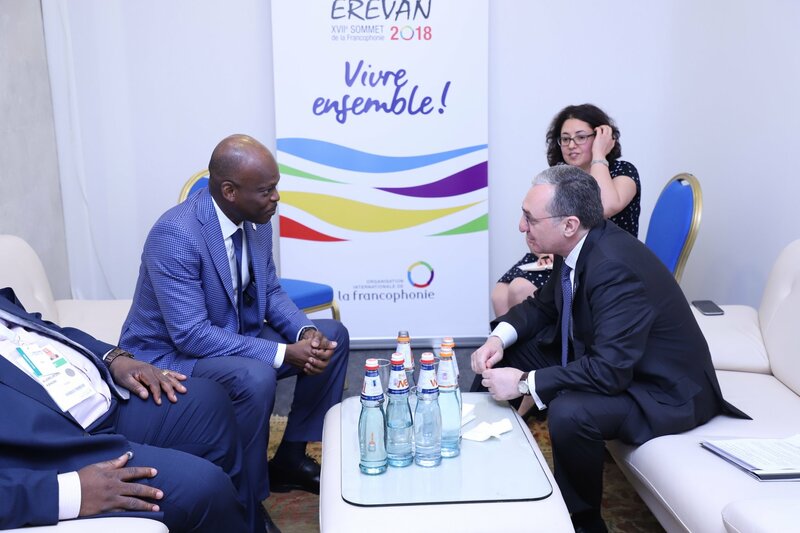 Armenia’s Foreign Minister Zohrab Mnatsakanyan met today with Foreign Minister of Togo Robert Dussey, who arrived in Armenia to participate in the 17th summit of La Francophonie. During the meeting the parties discussed prospects on starting close cooperation in different directions, referred to the necessity of activation trade-economic ties and starting regional partnership. 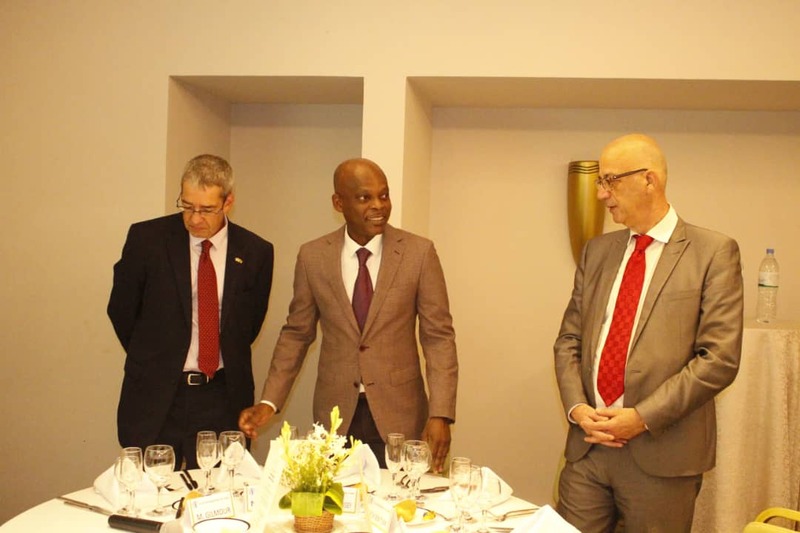 The two ministers attached significance to the multisided format of partnership and the platform of Francophone Organization in particular for the discussion of different issues of mutual interest. The ministers also exchanged ideas over the agenda of the 17th summit of the OIF. Talks on a new agreement between the ACP and the EU will only bear fruit if both parties take the road to prosperity together, writes the ACP’s chief negotiator, Robert Dussey, on the post-Cotonou talks. 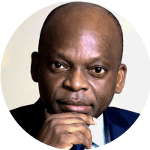 Prof. Robert Dussey is the Minister of Foreign Affairs, Cooperation and African Integration of Togo, and the Chief Negotiator of the ACP Group for the post-Cotonou agreement. 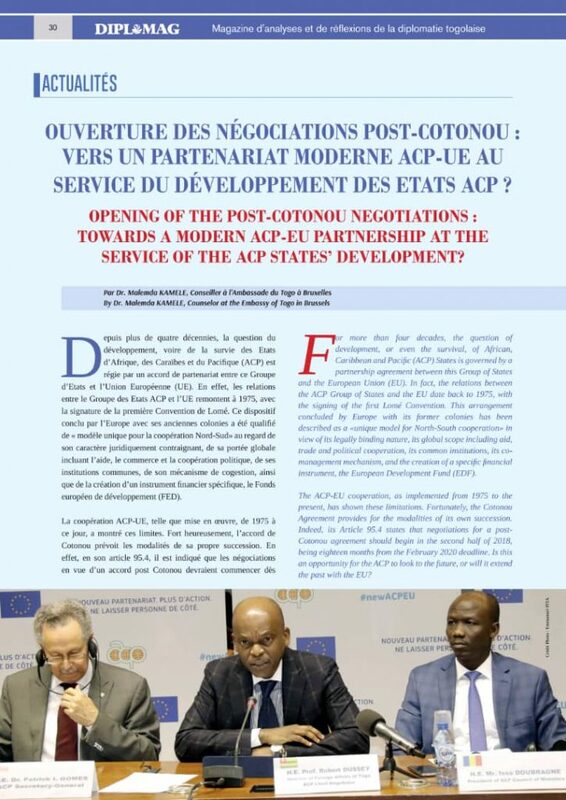 The scheduled expiry of the Cotonou Agreement in 2020 is not the end of the ACP-EU partnership. Both parties are currently in discussion and negotiations for a new partnership agreement will begin on 1 October. The novelty of the envisaged agreement lies in its structure. The agreement will have a common basis applicable to all of the partnership members and three regional partnerships specific to Africa, the Caribbean and the Pacific. The post-Cotonou agreement has to help to achieve sustainable development in the ACP countries. The right of ACP peoples to development, the SDGs, the Paris Agreement on climate change and the African Union’s Agenda 2063 must be at the heart of the future ACP-EU partnership agreement. We have reason to hope, but hope for the future of our partnership is only legitimate if it is based on the commitment of both parties to take the road to prosperity together. The ACP-EU partnership can only keep its promises if it does not negate the development efforts of the ACP countries themselves or cause the dismantling of their young industries and economies. We need more ambition and imagination to understand the new challenges of our cooperation, which we hope and want to be more productive, fairer and more responsible. The ACP countries are less hoping for charity than justice and equity in the terms of the future partnership agreement. The topics to include on the negotiating agenda are varied and will touch on areas such as the economy and investment, development cooperation, research and technological innovation, climate change, the war on poverty, security, political dialogue and migration. Having met the expectations of both parties on the common basis of the agreement, negotiations on the three regional pillars will be launched. The objective is to reach an agreement which fully takes account of the realities and problems of every geographical area of the ACP Group. The advantage of this approach is that it offers every region of the ACP countries the opportunity to influence, or, if necessary, to take charge of the technical negotiations on its strategic priorities. This approach is in line with the desire of the various regions, particularly that clearly expressed by Africa to have a completely decomplexed partnership with Europe in a strictly equal relationship. Migration is likely to be a key point of the EU-Africa pillar of the agreement but it must not circumvent the relevance of the debate or negatively impact the terms of our future cooperation agreement. Your Excellency’s, distinguished guest ladies and gentlemen. In less than two years, we are called to renew the terms of ACP-EU cooperation. This ceremony officially launches the process of the negotiations that will lead us to a new agreement. 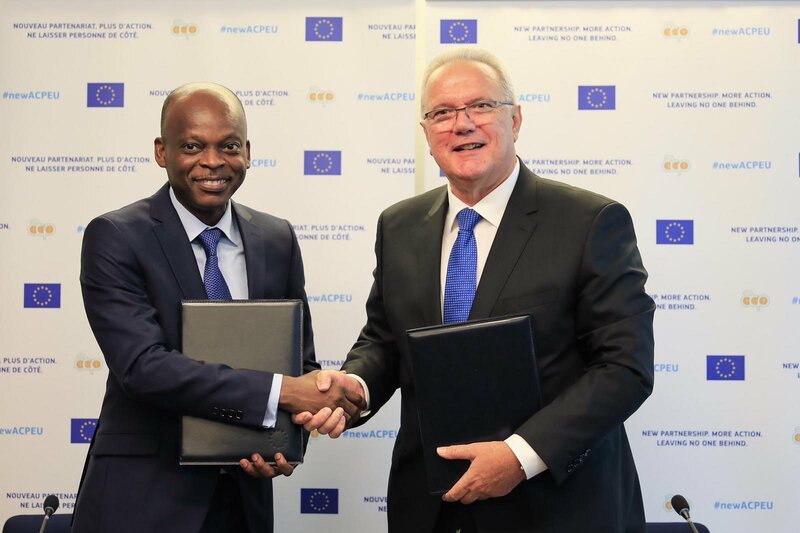 The signing of a new cooperation agreement between our two entities was well worthwhile as the European Union and the ACP still have unexploited opportunities to explore and exploit together. To paraphrase the title of a book by Karl POPPER and Konrad LORENZ the horizon of our cooperation remains open and there is room for hope for the future. For the future of our cooperation, hope is justified only if it is based on a common commitment to journeying together along the road of prosperity. We must work together to succeed together. ACP-EU cooperation will remain faithful to its original ambition only if it remains a partnership at the service of the fundamental human right to ACP peoples’ development. The key challenge for the ACP remains the war on the lack of development and our partnership must be able to help ACP member States to meet this challenge. The connection between the ACP Group and the EU was established in Article 1 of Chapter 1 of the Georgetown Agreement, the Constitutive Act of the ACP Group, which states that “The Members of the ACP Group shall be the African, Caribbean and Pacific States which are signatory to the Convention of Lomé and to this Agreement.” The ACP Group underlines that ACP-EU partnership is a valuable and unique achievement that has strengthened bonds between ACP and EU peoples and countries throughout the last 45 years of its existence. The opening of the negotiations today heralds the continuity of trust and confidence cherished by parties to the Partnership. Difficulties, misunderstandings and pitfalls may arise in the joint venture of negotiations, but we must stand firm, use our “practical wisdom” to overcome them. “Practical wisdom”, the other name of ARISTOTE’s phronesis, says Paul RICOEUR in his work oneself as another, “consists in inventing just behavior suited to the singular nature of the case”. It can help us overcome the aporias, the “reasonable disagreements”, the “objective illusions” and risks of stalemates immanent to any normal process of negotiation. We must ensure that ACP-EU cooperation really serve the cause of development of ACP countries. ACP-EU cooperation can only lead to the development desired and hoped for by the ACP States if it does not annihilate their endogenous development initiatives, if it does not compromise – to borrow the word from Amartya SEN – the “capabilities” of the ACP countries through deindustrialization and the dismantling of their economies. It is in the economic and strategic interest of Europe that the ACP countries develop. To think otherwise would be a lack of ambition. We need more ambition and imagination to understand the new challenges of our cooperation that we hope for and wish to be more fruitful, fairer and more responsible. When you are two to journey on a road, you need essential lucidity so as not to step on your fellow traveler’s toes. Lucidity, by its Latin etymology, means “light” and someone who is lucid, says Augustin Kouadio DIBI “is someone that can see clearly, someone that grasps things in the light”. In the light, we will come to a new agreement in the best interest of Europe and the ACP countries. Many topics will be on the agenda of upcoming negotiations. These topics touch on fields (for illustrative purposes) such as economics and investment, development cooperation, research and technological innovation, climate change, the war on poverty, security, political dialogue and migration. The examination of all these subjects must be done in the near future in broader rationality. Because I remain convinced that the horizon of ACP-EU cooperation remains open; that the European Union and the ACP countries still have “possible future” to explore and invent together, I would like to end on this thought of the French philosopher of prospection Gaston Berger in his book The Phenomenology of time and Prospective: “Tomorrow will not be like yesterday. It will be new and it will depend on us. It is less to discover than to invent”. Good luck with future negotiations. 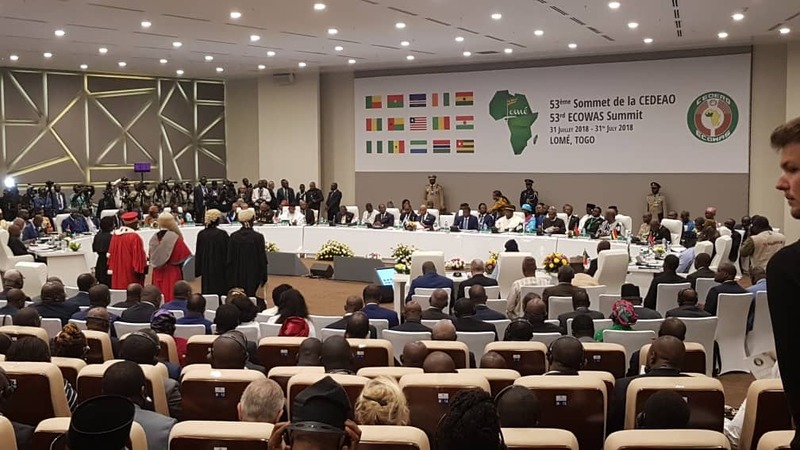 On 30 July 2018, Lomé hosted the joint summit of the Heads of State and Government of ECOWAS [Economic Community of West African States] and ECCAS [Economic Community of Central African States]. 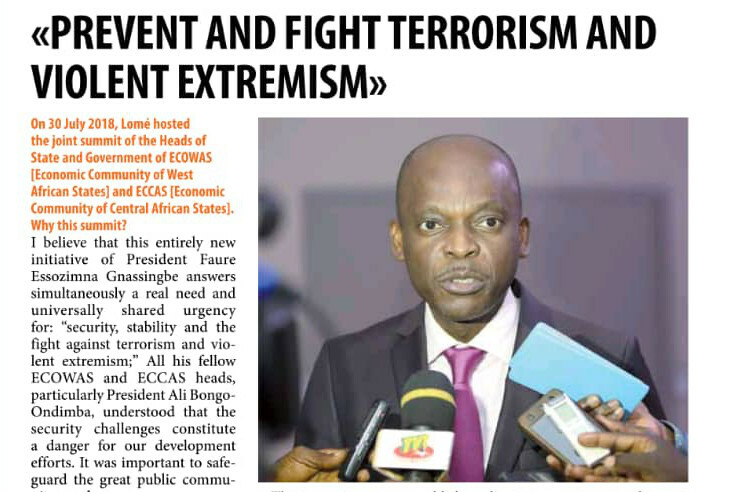 universally shared urgency for: “security, stability and the fight against terrorism and violent extremism;” All his fellow ECOWAS and ECCAS heads, particularly President Ali Bongo-Ondimba, understood that the security challenges constitute a danger for our development efforts. It was important to safeguard the great public community good: Peace. How did the summit go? What were the high points?Why this summit? only framework capable of leading to transparent and peaceful elections in the Democratic Republic of Congo. – The utter condemnation of the attacks perpetrated by terrorist groups as well as of all kinds of illicit trafficking by terrorist and mercenary groups operating in the Sahel from Southern Libya. 1. 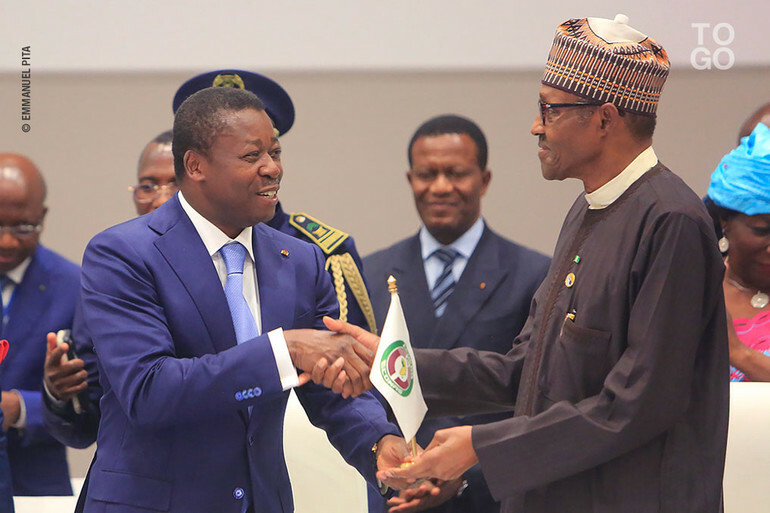 The fifty-third ordinary session of the Conference of Heads of State and Government of the Economic Community of West African States (ECOWAS) was held on July 31, 2018 in Lome, in the Togolese Republic , under the chairmanship of HE Mr Faure Essozimna GNASSINGBE, President of the Togolese Republic, President in office of the Conference. – Mr. E. Faure Essozimna GNASSINGBE, President of the Togolese Republic. – Mr. EL-Ghassim WANE, Representative of the Chairperson of the Commission of the African Union. 4. The Heads of State and Government took note of the Interim Report 2018 of the President of the ECOWAS Commission as well as reports from the 80th Ordinary Session of the ECOWAS Council of Ministers and the 40th Meeting of the Council of Ministers. Mediation and Security. 5. They commended the quality of the reports submitted as well as the relevance of the recommendations that are conducive to the achievement of ECOWAS objectives for growth and stability in the region. 7. The Conference welcomed the good prospects for economic growth in the region with a rate of 3.2% in 2018 against achievements of 2.3% and 0.2% in 2017 and 2016 respectively. This positive trend is due, among other things, to the rise in world prices for raw materials, particularly oil, minerals (gold, bauxite, iron), cocoa, cotton, as well as economic reforms and investments in the field. infrastructures. 8. In order to improve the resilience of the Member States and to make the sources of regional growth more stable and less fragile, the Conference urged them to continue the efforts to diversify economies and to set up specific policies in favor of vulnerable layers for more inclusive growth. 9. 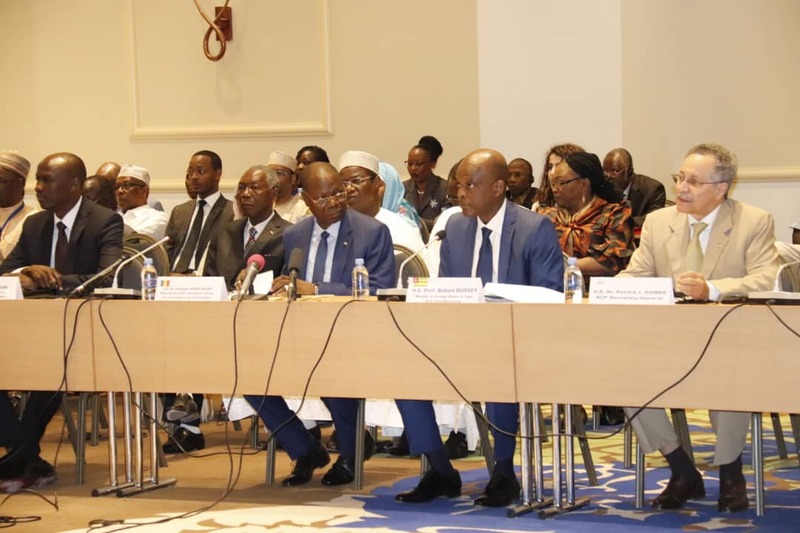 The Conference took note of the reports of the meetings of the Presidential Task Force for the ECOWAS Single Currency Program whose conclusions and recommendations mark important progress towards the objective of providing the region with a monetary union. 10. She congratulated the Heads of State members of the Task Force for the progress made in implementing the activities of the ECOWAS Single Currency Roadmap for the results achieved. 11. Under Macroeconomic Convergence for 2017, the Conference noted the progress made by countries in all the criteria, particularly the key criterion of the budget deficit as compared to 2016. She urged member states to pursue the implementation of virtuous economic policies in order to meet the convergence criteria. 12. 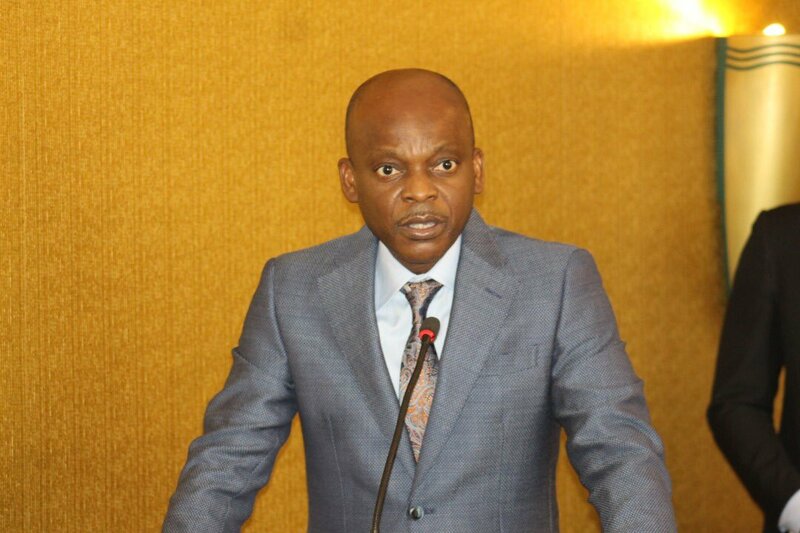 Under the exchange rate regime, the Conference instructed the Chairman of the ECOWAS Commission to hold consultations and meetings with the Working Group, composed of the BCEAO, Central Bank of Nigeria and the Central Bank of Nigeria. WAMA to submit proposals, before the end of 2018. On this occasion, the harmonization of the monetary policy framework and the future central bank model will also be examined. 13. It also instructed the ECOWAS Commission, in collaboration with WAMA and the Central Banks of the Community, to submit to it at its next session proposals for the name of the future common currency. 14. The Conference instructs the Commission to make all the arrangements for the effective involvement of all Central Bank Governors in the process of creating the single currency of ECOWAS. 15. The Conference also took note of the Revised Road Map for the Single Currency Program and the establishment of a Special Fund to cover its financing needs. In this regard, it requests that the Central Bank of Nigeria (CBN), the Central Bank of West African States (BCEAO) and the Bank of Ghana take the necessary measures for the payment of their share. 16. It took note of the conclusions of the ECOWAS Single Currency Study carried out by the Economic Commission for Africa (ECA) which specifies the optimal conditions for the creation of the future single currency of ECOWAS. 17. The Summit called for greater involvement of the Member States in the debate and instructed the Commission to ensure that all countries are informed of progress. 18. The Heads of State welcomed the continuation of actions for the effective implementation of the Protocol on the Free Movement of Persons, the Right of Residence and Establishment through the Development of a Follow-up Mechanism to facilitate the regular evaluation of the application of that Protocol. They urged the Commission to take any initiative aimed at reducing the obstacles to free movement and to report to the political authorities of the Member States concerned. 19. With regard to the Customs Union, the Conference congratulated the Commission on the arrangements made for the extension and application of the Customs Code following its adoption in December 2017, in particular the training of customs officers and the continuation of its support to the two Member States which have not yet implemented the Common External Tariff. 20. The Conference notes that the non-signature of the regional EPA by all member states and the implementation of interim EPAs poses significant challenges to the regional integration process. In order to strengthen the coordination of regional policies and cooperation with the European Union, the Summit calls on European partners to increase flexibility on the EPA issue in particular, on the timetable for the implementation of interim EPAs . 21. The Conference welcomed the launch of the African Continental Free Trade Area (ACFTA) during the Extraordinary Summit of the AU Conference held on 21 March 2018 in Kigali, Rwanda. It took note of the signing of the Agreement by several African countries, and to this end invites the member states that have not yet signed to accelerate the process of their accession. 22. The Conference instructs the ECOWAS Commission to assist Member States to develop a regional position on outstanding issues including tariff concessions, the schedule of specific commitments on services and rules of origin. 23. With regard to education, the Conference congratulated the Commission for putting in place mechanisms to promote regional ideals in schools. She invited her to move towards incorporating educational modules on regional integration into curricula. 24. In the humanitarian and social field, the Conference reiterated its concern about the situation of African migrants in detention centers. She called on the Commission to become more involved in coordinating Member States’ positions in the Global Compact process for safe, orderly and regular migration. 25. The Conference was concerned about the sharp deterioration of the food security situation in some Member States with significant decreases in production compared to the 2016/2017 crop year observed. 26. She welcomed the urgent mobilization measures of the Regional Reserve for Food Security which concretizes the appeal she made at its Extraordinary Summit held on 14 April 2018 in Lomé, Togolese Republic. It called on beneficiary member states to confirm and honor their commitment to rebuild the mobilized stock, with a view to ensuring the sustainability of this regional solidarity instrument for vulnerable populations. The Conference instructed the ECOWAS Commission to take the necessary steps to make food available to the affected countries as soon as possible. 27. The Conference reaffirms the importance of peace, security and stability in the ECOWAS region. It reiterates its condemnation of the terrorist attacks in the region and expresses its solidarity with the affected countries. 28. It reaffirms its determination to fight relentlessly against terrorism and violent extremism. To this end, the Conference welcomes the convincing results achieved in the fight against the terrorist group Boko Haram. 29. The Conference commends the commitment of the member countries of the Multinational Joint Force of the Lake Chad Basin and the G5 Sahel Joint Force in the fight against terrorism. To this end, it appeals to all Member States of the Community, in a spirit of community solidarity, to provide material, financial and technical support to the armed forces of the Member States engaged in the fight against terrorism in the Basin Lake Chad and the Sahel. The Conference calls upon the United Nations Security Council to place the G5 Sahel Force under Chapter 7 of the United Nations Charter with a view to ensuring sustainable and multilateral funding. 30. The Conference urges member states to implement holistic measures to prevent radicalization, violent extremism and terrorism. She reiterated her appeal to Member States for a better sharing of information and intelligence. 31. The Conference welcomes the holding of the Joint Summit of Heads of State and Government of ECOWAS and ECCAS on 30 July 2018 in Lomé, Togolese Republic. It urges the Member States and the Commission to implement diligently the decisions contained in the Lomé Declaration on peace, security, stability and combating violent extremism adopted by the Joint Summit. 32. The Conference welcomes the significant progress made in resolving the political crisis in Guinea Bissau since the measures adopted at its Special Session on Guinea Bissau held on 14 April 2018 in Lomé, Togolese Republic. It encourages all Bissau-Guinean political actors and civil society to maintain its commitment to the road map, in particular to respect the date of 18 November 2018 for the holding of legislative elections. 33. The Conference expresses its concern about the slowness in the implementation of the parliamentary election calendar. To this end, it calls on Member States and the international community to support Guinea Bissau. It notes with satisfaction the financial contribution of one (1) million US dollars from the WAEMU for the preparation of the legislative elections and decides to contribute for an amount of two (2) million US dollars. 34. Welcoming the progress made since the Summit of 14 April 2018, the Conference decided to lift the sanctions imposed on certain political actors in Guinea-Bissau. 35. The Conference considered the report presented by the two Facilitators, Their Excellencies Mr. Nana Addo Dankwa AKUFO-ADDO, President of the Republic of Ghana and Professor Alpha CONDE, President of the Republic of Guinea, in the framework of their mandate. entrusted by the Conference on 14 April 2018. 36. The Summit commended the two facilitators and noted with satisfaction the progress and achievements that have been made. The Conference welcomes the commitment of stakeholders to maintain the spirit of consultation and dialogue with a view to promoting a lasting resolution of the crisis. 38. It encourages the Togolese Government to continue the confidence-building and appeasement measures by speeding up the judicial procedures for those arrested during political demonstrations and to study the possibility of additional measures for those persons. 39. The Conference of Heads of State condemns all recourse to violence, including the use of weapons reserved for the public forces and calls on the citizens who stole them during the demonstrations to return them to the competent authorities. 40. At the same time, it calls on political actors and civil society to abstain, in all circumstances, from acts and remarks that may fuel new tensions and jeopardize ongoing efforts. It urges the security forces to be professional in their mission of maintaining order, preserving the security of property and people. 41. The Conference of Heads of State urges the Government to proceed with the complete revision of the electoral register with a view to the organization, on 20 December 2018, of the Parliamentary Elections. – Strengthening the electoral process. 43. The Conference of Heads of State recommends the adoption of these reforms through the parliamentary process with a view to speeding up the process of their implementation. If necessary, these reforms will be submitted to the electoral consultations. 45. The Conference commends the opposition for its openness and sense of responsibility, and for its dialogue on the satisfaction of its demands. 46. ​​It invites all parties to comply with the Togolese Constitution. 47. The Conference of Heads of State commends the will of opening and permanent dialogue of the President of the Togolese Republic, and notes with interest its willingness to work with all the vital forces of the nation. 48. She also asked the ECOWAS Commission to provide support and technical expertise in the organization and conduct of the forthcoming elections. 49. The Conference renews its support to the two Facilitators of the Inter-Togolese Dialogue and requests them to continue their efforts for a rapid and lasting resolution of the socio-political situation in Togo and to report to it at its next session. 50. The Conference of Heads of State decides to set up a monitoring committee composed of the representatives of the facilitators, the ruling majority, the coalition of 14 opposition parties and the ECOWAS Commission to follow up the implementation of these decisions. 51. She instructed the ECOWAS Commission to continue supporting the facilitators. 52. The Conference welcomes the positive development of the political situation in the country marked by the successful holding of local elections on 12 May 2018. It also welcomes the launch of the National Development Plan (2018 – 2021). and calls on development partners to confirm their pledges of support for this Plan, made at the donors’ conference held on 22 May 2018 in Brussels. 53. The Conference encourages the Government to accelerate the effective and coordinated implementation of the Defense and Security Sector Reform Program. 54. The Conference commends all the political parties for the peaceful conduct of the electoral process of 29 July 2018. It calls on all political actors to continue to observe a republican attitude and respect for the results of these elections. 55. The Conference expresses its deep concern at the increasing number of violent conflicts between pastoralists and farmers as a result of transhumance and strongly condemns the many losses in human life related to these conflicts and the stigmatization of specific categories of the population. It instructs the various actors to implement the measures identified at the Abuja meeting held on April 26, 2018 to prevent and peacefully manage these conflicts. 56. The Conference took note of the oath taken by the new President of the ECOWAS Commission, Mr. Jean Claude Kassi Brou, and congratulated him on his appointment. 57. The Conference took note of the swearing-in of five (5) new judges at the Court of Community Justice during its opening session. 58. She also congratulated all other statutory officials and encouraged them to pursue the cause of integration and regional development within their respective institutions. 59. The Conference urged the President of the Commission to accelerate the implementation of regional integration programs and projects. 60. The Conference expresses its gratitude to all ECOWAS development partners for their support for the consolidation of peace, security and regional integration in West Africa. 61. The Conference took note of the progress made in the institutional reform process of ECOWAS, in particular with regard to the reorganization of Community institutions and agencies, to increase their effectiveness as well as measures implemented. to strengthen internal control mechanisms within all institutions. 62. The Conference instructed the President of the Commission to accelerate institutional reform measures, with a focus on improving the performance and modernizing the Community institutions. 63. The Heads of State and Government elected His Excellency Muhammadu BUHARI, as President-in-Office of the Authority of Heads of State and Government of ECOWAS, for a term of one year. They congratulate President BUHARI and wish him every success in his mission. 64. The next regular session of the Conference will be held on … December 2018 in Abuja, Nigeria. The Conference expresses its sincere congratulations to HE Faure Essozimna Gnassingbé, President of the Togolese Republic, for his unwavering commitment to regional integration and for the exemplary leadership he has shown in the conduct of the affairs of the Community. Done at Lomé on 31 July 2018.